My article “Contact Improvisation to Scene Study: Authenticity in Word and Deed” (2012) explored the use of C.I. (contact improvisation) in actor training. The following one minute video shows an example of a CI session between actors Jacob Dresch and Claire Edmunds during a training session concentrating on the use of counter balance. Drawing on mime, modern dance and dance/theater explorations and expanding through 30 years of studio work with actors, this use of C.I. in actor training releases the physical/emotional honesty of actors. This is a training of energy and weight exchange in which the ultimate goal is kinetic and intimate responsiveness to a partner. The playful, dynamic and exhilarating shifts of counter-balance that characterize this work are reached through the practice of contact improvisation. Basic tumbling, energy exchange exercises and partnering dance lifts are its fundamental building blocks. 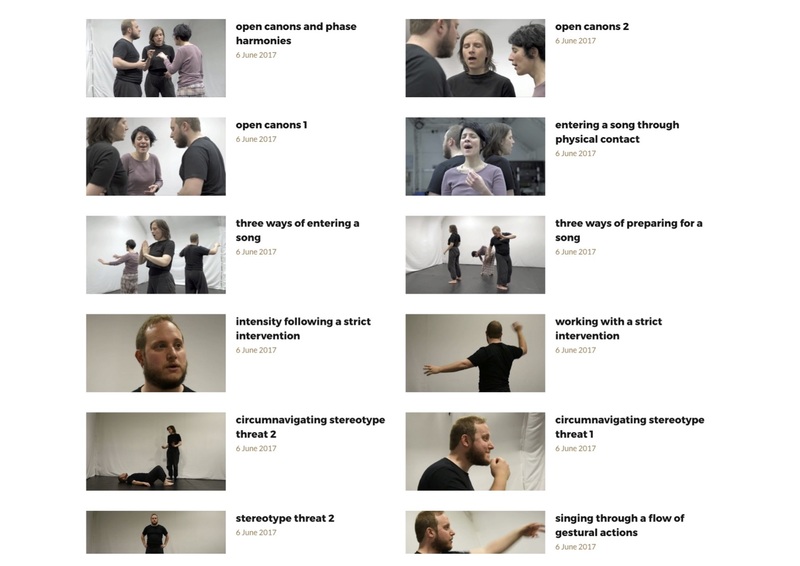 Text may also be used in a contact session and this allows the spontaneous physical language of the actors’ bodies to parallel the spoken dialogue. Without consciously imposing objectives actors inter-relate spontaneously, dynamically and elegantly; and the outcome is an imprinted ability to deliver emotional and physical honesty in a scene. Counter-balance Theater (my physical theater company) uses this technique to train performers within the company, in classes at UCI, and in workshops for the wider public. The physical techniques in leveraging, complicit interchange and trajectory of motion, are used to create the imagery scored in the Counter-Balance scripts.